The second year of Change of Shift, that most revered of nurse blogger compendiums, is now ready for your enjoyment at NursingLink, the newest cyber community for nurses. 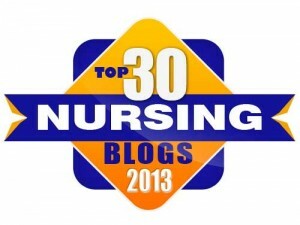 Please feel free to have a gander, and also take a look at NursingLink while you're at it. Thanks, and a happy weekend to all! Google, in its cultural ubiquitousness and apparent desire to touch on every aspect of society, has created a Google Health Advisory Council with a mission, as reported on the Google Blog, to "help us better understand the problems consumers and providers face every day and offer feedback on product ideas and development." The announcement continues: "We have formed an advisory council, made up of healthcare experts from provider organizations, consumer and disease-based groups, physician organizations, research institutions, policy foundations, and other fields." In its infinite wisdom, Google has overlooked many key communities within the broad field of healthcare experts, including nurses. As expected, the Advisory Council is overwhelmingly made up of doctors and executives. With 22 members in all, the Council boasts only five women, and although I cannot say for sure, I am relatively certain that people of color are grossly underrepresented as well. As for "experts" in medical care, where are the patients/consumers, the lay people who struggle with the healthcare system daily? Where are the people on Medicaid, senior citizens, the disabled, the homeless, the uninsured, the underinsured? They are often the real experts, and they are woefully missing as well. Beth Anderson, RN, editorializes about Google's shortsightedness on NursingLink, and points out that medical librarians are another group of experts who have been neglected by Google in its population of a very limited and narrow Advisory Council. Kim at Emergiblog appears to have been one of the first medical bloggers to speak out about these gross oversights, and I am sure that many more will communicate their disappointment and disapproval to Google in the coming weeks and months. Kevin, MD has also chimed in, adding his voice to the outrage. Here are just a few reactions linked on Kevin's blog. Adding insult to injury, someone from the diabetes community is missing from this "expert" council,which also completely lacks anyone representing the specialty area of mental health, psychology or behavioral science. On the lighter side, Dr. Wes chimes in with an Arthurian twist, while medical librarians voice their disappointment and outrage. Google may be very talented at gobbling up major slices of the world without swallowing, but in attempting to create an Advisory Council on healthcare, the good folks at Google seem to have choked on their own hubris. Perhaps the feedback will cause some buyers remorse and compel Google to rethink their strategy. Or perhaps they will steamroll ahead with their Ivory Tower council and continue to spurn those from whom we have the most to learn about healthcare, access to healthcare, and the vicissitudes therein. Are you listening, O Mighty Google? It was just one of those things. Our office is being rewired, with workmen on ladders, standing on my desk intermittently, the computers and phones periodically down for the count. Most of us tried to work outside the office throughout the day, but there are just some things that can't be done from the outside, at least without sufficient wireless technology. My day went fine while I was working away from the office. Emails and phone calls came in waves, and I performed basic triage in order to take care of the most pressing issues as others waited in the wings. Once I set my foot in the office door, the tumult began, and what seemed to have been a breezy day transformed into one which seemed to pummel me from all sides at once. For better or worse, several of my colleagues were experiencing the same intensity, and we held onto the rails of our tossing ship together, life-jackets at the ready. Tears, smiles, laughter, sarcastic surrender----it all melded into one miasma of reaction to stress. Laughter relieved my stress the most as I fumbled through the afternoon. Moments of merriment and lightness were balanced by other moments of utter exasperation. Answering my phone around 3:00, I was on the receiving end of the angry outburst of a plastic surgeon who was unhappy with my "interference" in the care of "her" patient. "I don't even know who's managing this patient's care," she said sarcastically. "Can you tell me, by any chance, what is happening and why I was not informed?" I grimaced into the phone. "I am a nurse care manager for my patient, and I see my role as a patient advocate. Since the surgery which you performed, she has had increasing pain and what seems to be an untreated infection," I replied. "Your office has been slow to respond, her primary doctor just left the area, and I was left holding the ball. So I ran with it to the best of my ability." She seemed disarmed as we discussed the plans for the patient further before she hung up the phone rather abruptly, but not before she let me know that I would be held responsible if the patient no-showed to tomorrow's scheduled procedure. I'm sure she shared choice words about me with her colleagues, as I did with my own coworkers about her unnecessarily harsh demeanor. Surgeons. Anyway, the day eventually came to a lukewarm conclusion as I moved my attention to my 3-hour evening shift as a clinic nurse. As I began the latter portion of my workday, the frantic energy of the previous hours began to dissipate, resulting in a body like a dish-rag and a brain made of nothing more than oatmeal. Coming home to loving family, loyal canine, and the warm embrace of home, the crashing stress of the previous ten hours melts into what it should be---a memory and nothing more. And now for rest, and the forgetfulness of sleep. Today is National HIV Testing Day, originated by the National Association of People with AIDS-US (NAPWA-US) in 1995. The US Department of Health and Human Services offers this site in relation to today's events, and the CDC's information can be found here. Outreach to communities of color and vulnerable populations like teenagers and the elderly is still central to the efforts to confront the pandemic's trajectory here in the United States. While HIV/AIDS is decimating populations in Sub-Saharan Africa, infection rates in the US are still unquestionably high. The popular notion that AIDS is now a chronic treatable illness has by some accounts emboldened certain segments of the population to engage in high-risk behaviors. Despite the fact that many antiretroviral drugs are available on the market---with some combination drugs in a once-a-day formulation---drug-resistant strains of HIV are quite prevalent and individuals can still fail treatment despite the most earnest attempts and latest technological and medical advances. Teen centers, community centers, senior centers, clinics and schools all need to be on board vis-a-vis universal HIV testing in order to protect those not yet infected, and provide counseling and potential treatment to those already infected. Many estimates have been proposed in terms of the number of infected Americans who are unaware of their HIV-positive status. Those of us in positions of influence need to do our best to encourage and facilitate HIV testing wherever---and whenever---it can be done. The phone at my desk rings. "Keith, how much do you know about babies?" The voice is familiar, but I can't place it. Many of my 85 patients start talking without first saying who is calling, expecting me to recognize their voices. "Uh, who am I speaking with, please?" "It's __________. Do you know about babies?" "Oh, hi! Why do you ask?" "Well, does someone have alot of stomach pain when they're pregnant?" "Does this have to do with you?" I ask innocently. "Yeah. Every time I move from side to side, my stomach hurts and I feel sick. Is that normal?" "Do you feel nauseous in the mornings? Have you been vomiting?" "Do you think you're pregnant?" "Are you peeing alot? Hungry? Gaining weight?" "Well, I have gained some weight lately," she says hopefully. "I don't think you're pregnant, but we can do a urine test when you come in. When do you see Dr. ___________?" "Oh, I have an appointment today at 2:00. Do you think I should tell him about my symptoms?" "Absolutely. I'll look for you in the waiting room and say hello, OK?" "OK. Thanks, Keith," she replies. "I just thought I'd call and ask if you knew about babies and stuff like that." "No problem. I'll see you this afternoon." Yesterday, at the first staff meeting since my new boss took the helm of our unwieldy ship of nurses, she unceremoniously---and rather spontaneously, I think---announced that we will be closing the office at 4:00pm for the summer, in order to encourage self-care and reduce stress. The phones are supposed to be turned off, the answering service engaged one hour early, and the on-call Nurse Practitioners ready to begin their weekend of call one hour sooner. The announcement was met with great enthusiasm, as well as a modicum of cynicism that this directive would actually get anyone out the door before 5:00 when the proverbial whistle blows. In an office of chronic overachievers, leaving early is not always on everyone's to-do list, although I manage to do it a few times each week, myself. So today, the first Friday that the new early closure was in place, I looked up at the clock as I raced through the office for the umpteenth time to notice that it was 4:20pm. I noticed that the administrative staff were still at their desks answering phones. I turned to their supervisor and asked, "So, I thought we were turning off the phones at 4:00?" She looked at me and replied, "Well, honey, nobody seems to be leaving, so we're here until you do." Turning the corner, I ran into our new boss and explained the situation. Her reaction was clear. "I want the administrative staff to get out of here at 4 on Fridays. They work hard enough. The nurses can stay and torture themselves if they want to, but everyone is free to take off. Period." We smiled at each other, and agreed that next Friday would be better. Maybe an offer of free beer on Fridays would help these chronic nose-grinders relinquish their death-grip on the phone and mouse? Whatever it takes, next Friday we'll try to make sure that the office is dark at 4, and that the denizens of our overcrowded establishment shake loose their shackles and begin their weekend just a little bit earlier. Today marks the Summer Solstice, the longest day of the year, and the signal that this portion of the earth is in full flower. Summer brings with it more time outdoors, more sun exposure (for better or worse), picnics, barbecues, vacations and skeleton crews in many workplaces, and an explosion of harvests as the growing season kicks into high gear. For some, summer brings a melancholy feeling and memories of years past, or of lost childhoods. For others, memories of family vacations and days at the beach are the focus. For others still, the arrival of summer elicits nothing more than perhaps a passing acknowledgment that the weather is warmer and the kids are out of school. Vacations, time at the beach, and picnics with family and friends are luxuries not necessarily enjoyed by, or available to, everyone. For me, summer brings a sigh of relief that the winter is firmly behind us, while knowing full well that as the Solstice arrives, the days begin to shorten yet again. But my summer glass is certainly half full rather the half empty, and I am thankful for, and aware of, the relative privilege that allows me to fully enjoy what summer has to offer. It cannot be taken for granted. So, happy summer to all. May the season bring you much joy, and fill your heart with the glow of the summer sun. So often in the course of my work as a nurse, the notion of "not knowing" rears its head. In many circumstances, my level of knowledge and clinical acumen is challenged, if not entirely overridden by the 10-ton Mack Truck of my own ignorance. Signs and symptoms make themselves known to me. I probe for further details. I use my limited assessment skills to elicit the information I wish to glean. And at many turns, my lack of knowledge and skill stops me in my tracks and I am faced with the need to climb the chain of medical command, seeking out mid-levels (Physician Assistants or, most likely for me, Nurse Practitioners) to assist me. Failing that, I seek out a doctor, as challenging as it can sometimes be to corner a doctor and command his or her attention long enough to receive a satisfactory reply. In my current position, I'm expected to manage patients' care with a very generous amount of autonomy, working at the very edge of my scope of practice, but never so much that I feel I am putting myself, my patients, or my license at risk. When it comes to "not knowing", that is a fine position to assume, as long as hubris or stress don't cause me to make decisions which should otherwise be made by someone more skilled and knowledgeable than I. 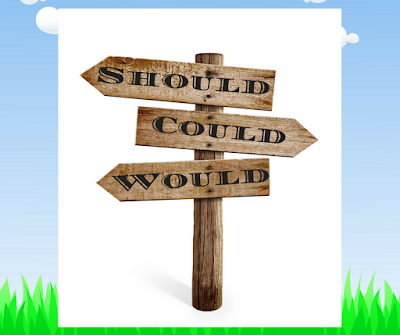 In my personal world of knowing and not knowing, it's always better to err on the side of caution than to later regret one's actions and decisions. And that is the fine line we often walk on the clinical front lines, and perhaps it's that sense of urgency and adrenaline that keeps us doing what we do. But when one comes up against one's limitations and there is a human life eagerly awaiting your decision on what to do next, humility and an acceptance of one's ignorance is the most important thing to remember. Wishes for a Happy Father's Day to fathers everywhere. For those whose fathers are no longer on this earth, my wishes for a peaceful spiritual connection in whatever form that might take. For those whose fathers are estranged, lost, or otherwise disconnected, my wishes for compassion, healing, peace, and forgiveness. For myself, I give thanks for the opportunity to be a father, and think of my own son (currently in Rome) with love and gratitude. I also thank my lovely wife for providing me the chance to be a father to such a compassionate, creative, and talented individual who has emerged into manhood shining with a brilliant light. He is loved beyond measure, and returns that love one-thousand fold. 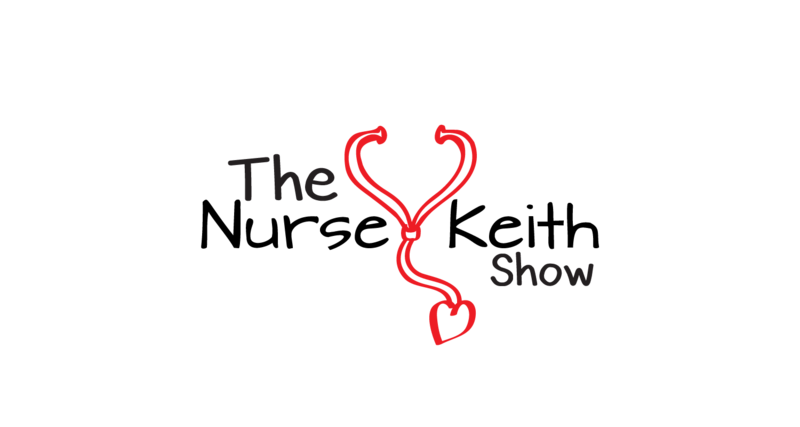 Change of Shift, the blog carnival for all things nursing, has reached the venerable age of one year. While I have contributed posts sporadically, I have never taken on the task of hosting, and I salute all those who have done so, as well as those who contribute more consistently than I. 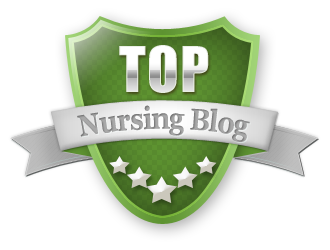 If you wish to see the newest edition, which marks one year of this excellent venue for nurse bloggers, click here. 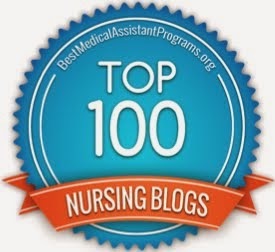 Congratulations to Kim at Emergiblog for her accomplishments, and here's to many more years of nurse bloggers' voices being heard loud and clear. Foremost on my mind today is the cancer which is growing daily in my step-father's abdomen. Resistant to radiation and chemotherapy, the mass has reached its tentacles of new blood vessels beyond the pancreas, encapsulating crucial abdominal blood vessels, siphoning off his very lifeblood for its own parasitic purposes. Cancer is truly cell growth gone beserk, and the cells just keep multiplying as he becomes less and less comfortable, and more and more fatigued. Now, a clinical trial is on the horizon, with the promise of an experimental drug to stop the tumor's growth of new blood vessels, also known as "angiogenesis". These clinical trials are often the last stop in terms of known therapies for patients still looking for cure or treatment, and we have illusions that it will buy us much more than few months. But who knows? Miracles do indeed happen. As the "family nurse", it's a challenge to know when to turn off my "nurseness" and simply be a son. I am constantly wondering about treatment options, resuscitation status, hospice referrals, funeral arrangements, symptom management. The son in me worries most for my mother, her future as a widow, where she will go and what she will do after these thirty years of marriage. I have walked many families through this journey. Now I'm on the other side of the equation and it is testing my mettle. It is all excellent fodder for therapy, and some very coarse grist for the proverbial mill. They say that God (or The Universe, if you will) never gives us more than we can handle at any given time. If that's so, I want to say to whoever makes that determination that I have plenty of grist right now, thank you. My mental mill is working overtime, and no additional stressors are welcome at this time. Will my request for a reprieve be heeded? Only time will tell. Earlier this month, Senators Diane Feinstein and Olympia Snowe introduced a budget amendment which would end the limitations imposed by the Bush Administration on American funds used in the global fight against HIV/AIDS. The U.S. government's current rules stipulate that 33% of all funds for HIV/AIDS prevention be used for abstinence-before-marriage programs which the Government Accountability Office has shown to be a highly flawed approach, especially in developing countries. These limitations have curtailed local efforts to stem the tide of mother-to-child transmission, as well as efforts to protect blood supplies. It is also acknowledged that in some societies in the developing world, women have little or no ability to refuse sexual relations with men who hold the economic and cultural power in their communities. Abstinence-only programs do nothing to address these concerns and simply block needed funds from reaching the people who need them most. Thus, the Feinstien-Snowe measure will allow for "maximum flexibility" for those on the front lines to decide how these desperately needed funds will be spent. I strongly support the movement to jettison abstinence-only requirements which simply politicize the issue while imposing a moral paternalism which does little to protect anyone in the face of a growing pandemic. "Of Course I Take My Meds!" "My asthma has been acting up. I feel terrible." We sit at her kitchen table as she wheezes and coughs. "Which medicines have you been taking?" I ask, as I move the bottles and containers around the table, examining the original prescription dates and refills remaining on the various labels. "Oh, I've been taking this one, this one, that one, and definitely this one," she replies, lifting up various bottles and shaking them in the air. They each have just a few pills left. "You see?" she says. "There's not much left in any of them." "So," I continue, "you've been taking this one every day, without fail?" I hold up a bottle of Singulair, a pill to be taken every night to prevent asthma attacks. "Well, I just don't know," I reply. "This label says that you filled this bottle on March 17th, 2006. That's ten months ago. Are you sure?" "Absolutely. I take it every day." I take my cellphone out of my pocket and call the pharmacy. They inform me that she hasn't filled any prescriptions for six months, and the Singulair has not been filled since March of 2006. "Do you use any other pharmacy?" I ask hopefully, knowing full well that she only uses the one at the clinic, which is within walking distance of her apartment. "I only use the pharmacy at the clinic. Do you mean I haven't filled that prescription for ten months?" She looks perplexed. "You know," I say, taking her hand across the table. "You don't need to lie to me. It doesn't hurt me when you don't take your medications. It only hurts you. I just want you to feel healthy." "I'm sorry," she replies. "Please forgive me. I didn't want you to be mad at me." We hug as I get up from the table. "I'll refill all of your prescriptions when I get back to my office. Don't be afraid to tell me the truth. And don't be afraid of the pharmacists. If you don't have money for your copayments, they'll keep track of what you owe them." "But I already owe them $44!" she replies. "Well, now you'll owe them a little more. Just pay something each month when you get your check. Better to owe the pharmacy money than to be in ICU with a breathing tube, don't you think?" I smile on my way down the stairs. Medication adherence is half the battle. Win that skirmish, and half your work is done. Well, sometimes, anyway. I remind myself to pay this patient a visit in about thirty days and see what meds she hasn't refilled yet. Patience, persistence and a sense of humor. A nurse's best defense against burn-out. I am reading “My Grandfather’s Blessings: Stories of Strength, Refuge, and Belonging” by Rachel Naomi Remen, M.D., a book which appeared in our house from an unknown source. Many books grace our shelves and I personally have no recollection of how they landed there. More fool me. But these organically-acquired books which seem to grow from the very shelves out of nothing often seem to hold wisdom and messages far exceeding their exterior qualities or appearance. “My Grandfather’s Blessings” seems to be just one of those sorts of books indeed. Through her recollections of her early childhood experiences with her grandfather, an Orthodox rabbi, Dr. Remen uses his wisdom---imparted through simple acts and simple words communicated to a little girl from a wise elder---to discuss simple axioms illustrating the beauty and simplicity of a life of compassion and service. Not three chapters into the book, and I can feel in my bones that the lessons to be gleaned in the subsequent pages are many. My hope is that I can not only read the words and understand them intellectually, but truly hear them, integrate them, and embody them in daily life. This is the challenge---cultivating compassion, even in the moments when it seems far beyond one’s reach. That certainly must be the task at hand, and its fulfillment is not a mundane achievement. His Holiness The Dalai Lama has said that kindness is his religion. So, if kindness were to be one’s religion, I would venture to say that compassion would then by necessity be one’s commandment. And living by that commandment of kindness and compassion must be one of the greatest goals that anyone could ever strive to fulfill. This is a time of contradiction and juxtaposition. As Mary and I prepare to join her immediate family for a joyous July celebration of her parents’ 50th wedding anniversary, we simultaneously prepare for what appears to be the relatively imminent death of my step-father from metastasized pancreatic cancer which is unresponsive to chemotherapy. With hopes that he can live to see their 30th wedding anniversary in December, I also realize that his quality of life may decline to such an extent that prolonged survival may only spell prolonged suffering. There’s another poignant contradiction---life’s prolongation actually increasing suffering. It is a conundrum often faced by the family and medical providers of a dying person, if not also the person him- or herself. Last week, Mary and I led another free public session of Laughter Yoga. It was a joyous and successful event, and many hearts seemed to open from the simple yet profound transformation that can occur when virtual strangers decide to laugh together in a spirit of willing childlike playfulness. This week, we led a crisis debriefing session for the staff of an institution where a recent murder-suicide occurred. Rather than lead the participants through exercises to elicit laughter, we led this group through exercises and sharing to unburden themselves of the cognitive, emotional, and physical manifestations of being affected by a traumatic event, whether directly or indirectly. How does one reconcile such contradiction in life? What is the magic formula that allows us to move from experience to experience, adjusting to variable conditions as we journey through those spaces? I am honestly and simply struck and dumbfounded by the contradictions I see, and by the contradictions which inform and feed my life and the living of it. Do I have answers? Certainly not; only more questions, and a burning desire to learn how better to ride these waves. Today, June 5th, 2007, is National Hunger Awareness Day here in the United States. While famine and hunger persist throughout the world on most every continent, there is still considerable hunger here in the U.S., and a great many people and organizations are doing the frontline work to improve the grim statistics. Famine, a state of utter deprivation and starvation, is indeed a reality for many peoples of the world during specific periods of time, often in relation to war, drought, and other situations which lead to massive numbers of refugees crossing national borders under duress. Food insecurity, however, is a newer term which denotes something less than famine, but still a chronic condition which gives rise to hunger and lack of resources to consistently put food on the table, whether for an individual or a family. According the the Food Research and Action Center, "35.1 million people lived in households considered to be food insecure" in 2005, and "of those 35.1 million, 22.7 million are adults (10.4 percent of all adults) and 12.4 million are children (16.9 percent of all children)". Additionally, "the number of people in the worst-off households (previously called “food insecure with hunger” and now called “very low food security” households) rose in 2005, from 10.7 to 10.8 million." These numbers are staggering. Here in the United States, ostensibly the most wealthy nation in the world (a highly debatable point), 16.9% of all children in our country live in households which are categorized as food insecure. According to the National Priorities Project, we have spent more than $431 trillion on the war in Iraq as of this writing. Alas, the children of American are suffering in our own backyard, and the money flows elsewhere like oil through a pipeline. So, what can we do? According to America's Second Harvest (The National Food Bank Network), individuals can end hunger by advocating, raising awareness, donating, sponsoring an event or volunteering. There is no end to what we may be able to do as a country, but it seems that the will to act is always the initial secret to any activism on the behalf of others. I was sadly not shocked by the statistics quoted above, but I am disheartened that this country which is literally awash in disposable consumer goods cannot feed its own. If we want to end hunger and poverty in the world, perhaps there is no better place to begin than here. If only those who spend their lives plotting crime, genocide, terrorism, economic ruin, personal greed, and technological mayhem would focus their attention on those in need, those weak with illness, those crying out for food, shelter and succor, perhaps the tide would turn much more quickly in this world. If only all of those computer hackers slaving at their keyboards for hours would instead endeavor to discover how to cheaply provide computers and internet access to every school-age child in the world. If only those who waged war would instead dedicate their lives to peaceful conflict resolution and mediation. If only governments who terrorize and subjugate their citizenry opened themselves to the ideals of personal freedom, free expression, and true representative democracy. If only the world's more than adequate food supply could be equally distributed amongst all of the people of the world. If only the existing resources to protect the world's population from known infectious diseases was adequately distributed. If only those who abuse and abandon children and animals would realize the error of their ways and see how we must protect the most vulnerable among us. If only humans could all wake up one day and realize their oneness. If only I could save my parents from their lives which have been overtaken by cancer. If only I could be as effective in this world as I could be. If it's true that God (or the Universe or whatever you call it) only gives you as much as you can carry at any given time, then I'm glad someone (or something) is keeping track, because sometimes I can't seem to manage to do so myself. On a personal level, this week began well enough, following on the heels of a blissful three-day weekend. On Tuesday, I visited a patient whose family member had died under suspicious circumstances, with some possibility of malfeasance at play. Sitting at her kitchen table, counseling her in her grief, my own grief for my best friend who was brutally murdered in 2001 came flooding in. My patient, who knows about that personal loss which I and my family suffered six years ago, said she was comforted by the fact that I had experienced something so similar. It is these types of moments when one's own life experiences can potentially short-circuit one's ability to be totally present in a therapeutic context with a patient or client. All psychotherapists and therapists know this well. We nurses think we do, but our training often does not prepare us when the reality strikes. Next came the difficult (but expected) news that my step-father's pancreatic cancer has metastasized to his lungs. As many people know, pancreatic cancer is one of the worst types of cancer with a terrible prognosis, and a large percentage of people die within six months of diagnosis. He is more than eight months into it, and has failed all treatments, the cancer growing and spreading. All that's left for him are clinical trials, and experimental drugs---especially chemo and biologic agents---are no walk in the park. This Father's Day will be a special one, and most certainly his last. Thursday saw my blog visited by a commenter who spewed vitriol and anger towards me and my wife with not a shred of compassion (see posts on May 30th and 31st). While I have not allowed her words to cause me pain, criticism---whether constructive or scathing---is always an invitation to self-analysis. The gift is an opportunity for self-examination, even if the message was nastily delivered. For those of you who offered comments of support, our gratitude. This particular visitor whom I mentioned in the preceding paragraph raised questions about the validity of Multiple Chemical Sensitivity (MCS), a condition that both my wife and I have developed over the last few years. Living in a world soaked not only in fragrances but in carcinogenic and harmful chemicals, is something that most people can do without a second thought. However, with rising rates of asthma, allergies to latex, peanut butter, fragrances, and other ubiquitous chemicals, the number of people needing accommodations for such conditions will only grow. No matter how many naysayers there are, The Federal Department of Housing and Urban Development (HUD), the Americans with Disabilities Act (ADA), and a number of key federal agencies already have stated unequivocally that MCS is protected under the ADA and other statutes and regulations. As further research demonstrates genetic links to MCS, the American Medical Association will eventually see the light. Until then, we sometimes struggle to breath and to be understood. Suffering is part and parcel of human existence. I frequently count my blessings and continually try to remind myself of my relative privilege in comparison to a huge percentage of the world's population. Nonetheless, one must shoulder one's own burden, suffer one's personal slings and arrows, and strive to lead a good life. We all want our lives to repay the debt of our existence (with a nod to Robert Fripp). These bumps in the road are simply moments to reflect and regroup for the continued voyage, exhausting as it is. If you do good, people will accuse you of ulterior motives. Do good anyway. If you are successful you win false friends and true enemies. Succeed anyway. People favor underdogs but follow only top dogs. Fight for some underdogs anyway.